Playground slides play a major role in all of our lives and we all have a tale to tell relating to some dare devil stunt we attempted on the steep slides of our youth. Playground slides have evolved over time and many middle aged people can’t comprehend children getting a thrill from modern day slides which are designed with safety in mind. Nostalgia sites record memories of waxing slides with candles or bread paper to make them more slippery. Playground slides used to be extremely steep and really dangerous and many of us feel lucky to have escaped without having cracked skulls and broken arms. Playground slides are extremely popular today and their origins are actually very interesting. No one really knows who invented the concept of slides but it is thought that they originated in the Northern Hemisphere to recreate sliding down icy slopes. Officially playground slides were invented by engineer, Charles Wicksteed, in 1922. Wicksteed made his fortune building shells for the Great War. Once the war was over Charles built Wicksteed Park to give something back to the people who had worked so hard for him. Ever the inventor, Wicksteed, made his Northamptonshire park famous by turning his hand at designing the first playground slides. 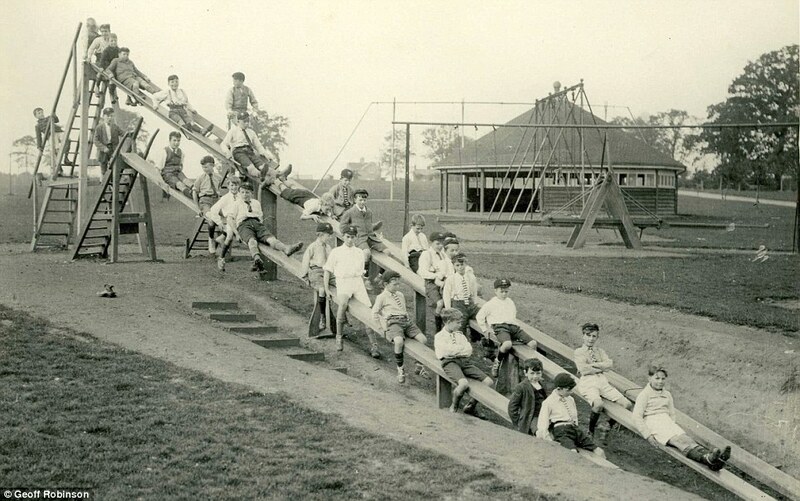 Archives of the first playground slides in Wicksteed Park show a large group of children perched on three planks of wood supported by steps of varying heights. Interestingly enough the steepest middle slide had been designed with boys in mind while the lower slides have been designed to suit the needs of ‘delicate’ girls. However none of the children look as if they were having lots of fun – maybe that happened after the cameraman left. Eventually wooden slides were replaced with all metal slides which displayed token safety elements such as a curve to slow you down and a ridge to stop you from falling off the side. Interestingly enough it was assumed that children would line up and use the slide one after another like soldiers on parade – the description explains that 20 children can use it in a minute. This style of playground slide resided in playgrounds for decades until playground equipment design was improved and built to specific safety standards. Playground slides today are designed to either be free standing, placed on an embankment or as in this picture part of imaginative playground equipment. Slides are not as steep unless they are tubular and innovation in playground surfacing means that falling on the ground is not as hazardous as it once used to be. 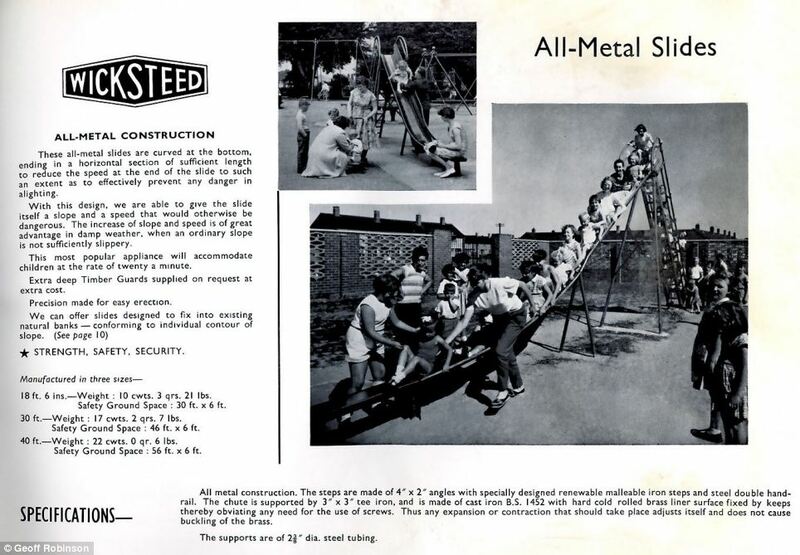 There are many different companies who design and manufacture playground slides and however unique the design may look there will always be a little bit of Charles Wicksteed in every slide built.